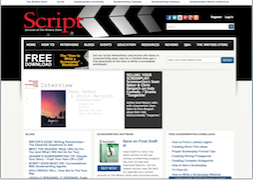 The forums are free for all to use and are provided as a service to the script writing community. 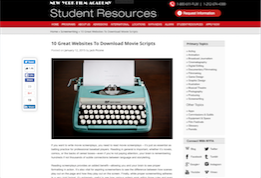 New York Screen Academy page linking to movie scripts. 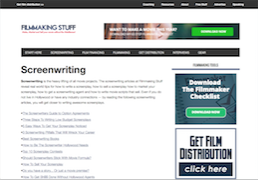 The screenwriting articles at Filmmaking Stuff reveal real world tips for how to write a screenplay, how to sell a screenplay how to market your screenplay, how to get a screenwriting agent and how to write movie scripts that sell. A filmmaking community forum for screenwriters. Screenwriting blog, contests and more. 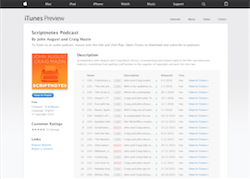 Screenwriting advice and scriptwriting resources. A forum and database of hundreds of downloadable scripts, movie scripts, screenplays, and transcripts of current, classic and maybe a few soon-to-be-released movies, television, anime, unproduced and radio shows. Links to communities via websites, groups & blogs, for discussion on Writing. If you know of any other great Writing websites, blogs, or groups, please email us and we will add them to the site.